The Sporting Kansas City, is a Kansas City based American professional soccer club, founded in 1995. 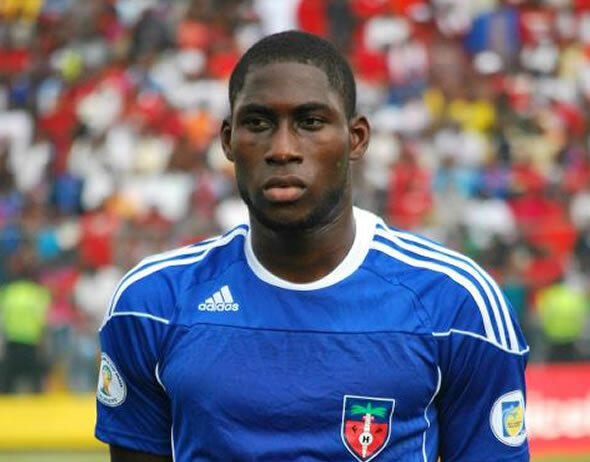 The club has signed James Marcelin who is a Haitian midfielder player, plays for Haitian Men's National Team. Marcelin (born June 13, 1986 in Saint-Marc, Haiti) began his soccer career with Roulado (2002-2006), and that was followed by Racing Club Haïtien (2007), Puerto Rico Islanders (2008-2009), Portland Timbers USL (2010), Portland Timbers (2011-2012), FC Dallas (2012), Antigua Barracuda FC (2013) and Fort Lauderdale Strikers (2014). The Sporting Kansas City is a member of the Eastern Conference of Major League Soccer that won the championship in 2013. For the first 15 years of its existence, the club was also known as the Kansas City Wizards.